Like a lot of you, I need a cup of coffee in the morning to get started. My mornings almost always start out with me crawling out of bed and putting on the clothes from yesterday so I can take Milo for a quick walk. As soon as we come back, he gets a meal and I start a pot of coffee. I’ve tried a lot of coffee brands over the years, so when I heard about an opportunity to sample 4 flavors of Rogers Coffee, I jumped at the chance. Who doesn’t like free stuff…and 4 bags of coffee could get me through a lot of mornings. Then I watched this video about the company. 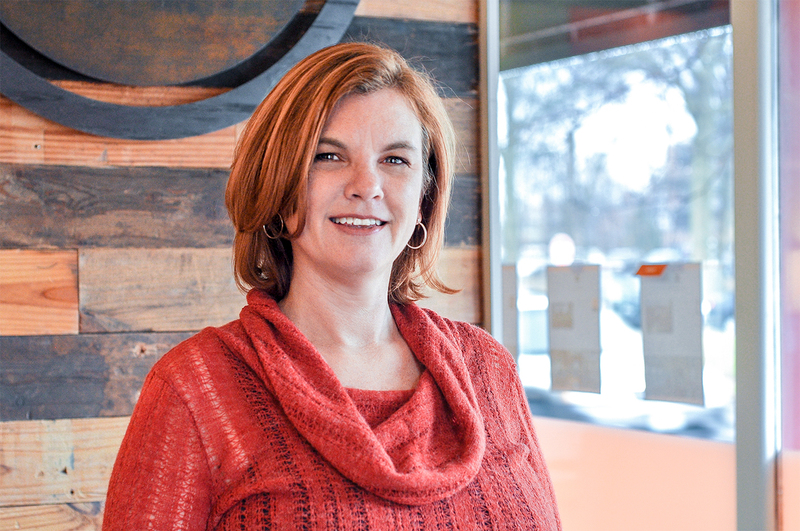 About how Rogers Coffee is changing the lives of the small coffee farmers in impoverished coffee growing regions. And I was even more excited to be able to try their coffee and offer my readers a chance to get 4 bags of coffee to try too. Enter the giveaway at the bottom of this article! This company even went to the trouble to figure out how to make their one-cup dispensers for the new popular Keurig machines biodegradable. It’s really important to me that I support companies that are good for the environment and socially responsible. But let’s be honest. While I want to make purchases from socially responsible companies, I also expect a quality product. With coffee, that means a great tasting cup of coffee. Rogers Coffee delivers. I’m not sure if it is because they only use Aribica coffee beans which offer better flavor and half the caffeine than the cheaper Robusta beans. Or maybe the fact that the use only shade grown beans has an impact. 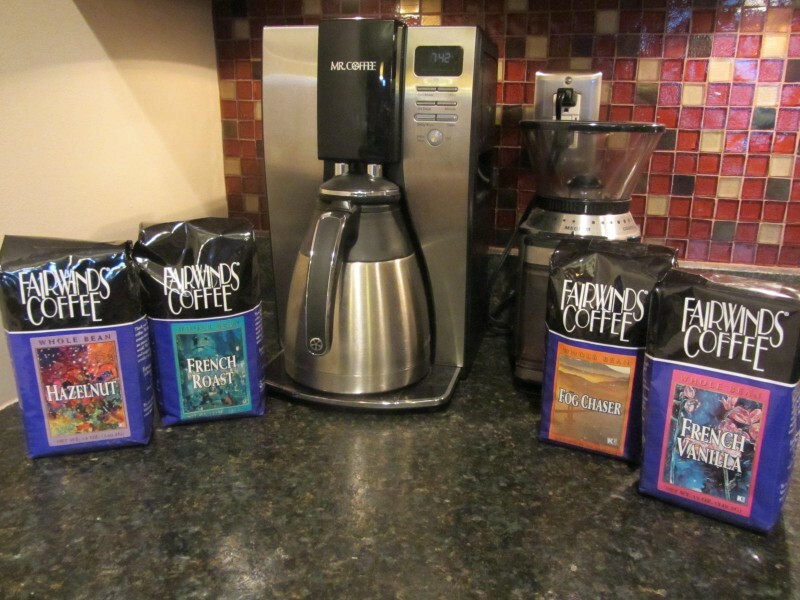 Whatever it is, I really liked all 4 flavors of the Rogers Coffee line of Fairwinds Coffee I received. If I have to pick, I think I liked the French Roast the best with the French Vanilla a close second. This actually surprised me, because I’m a big fan of Hazelnut coffee. And while I did really like the Hazelnut flavor, the other two were pretty amazing. But honestly, I could be happy with any of these 4 coffee flavors as my everyday coffee. When I opened up the first bag, I was pleased to see that the coffee was so fresh that it still had the oil from roasting on the beans. 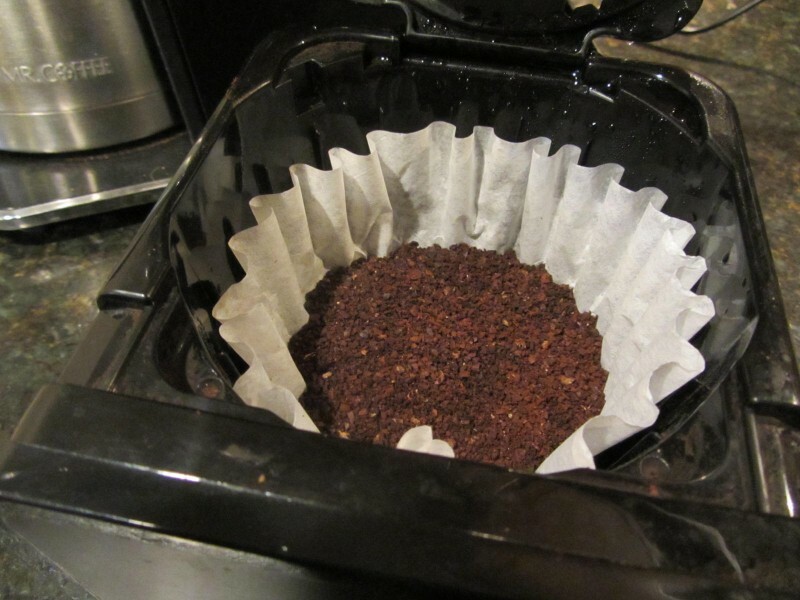 I started by cleaning out my coffee grinder well so there wouldn’t be any remnants of the old coffee in it. I added enough beans to my coffee grinder for 3-4 days so I could really experience each flavor before going on to the next. 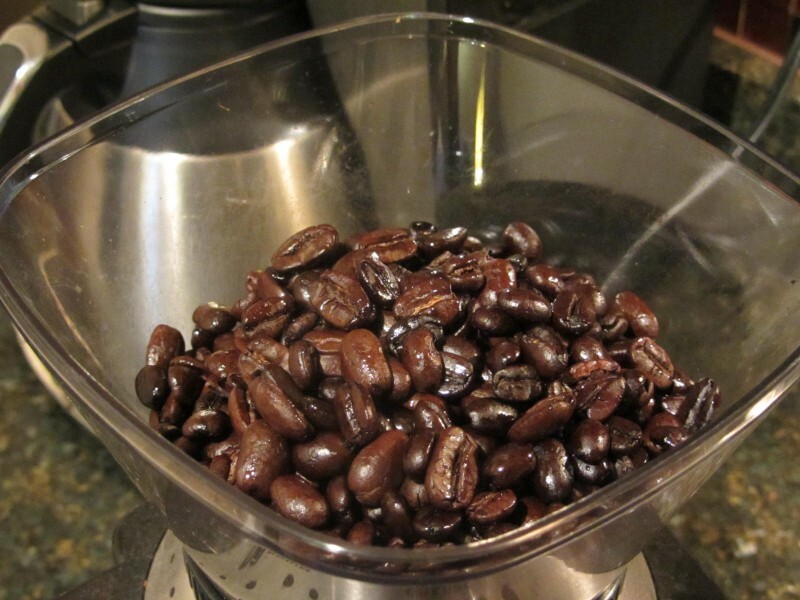 I popped the ground beans into the basket of my Mr. Coffee coffee maker (I absolutely love this coffee maker!) and then poured a cup into my favorite mug that I got on my trip to Thornbury, England. Yes, I drink my coffee black. No cream, no sugar for me. Rogers Coffee offers 6 lines of coffee and tea including ground coffee, kosher coffee, organic coffee, single serving coffee cups and trial sizes. 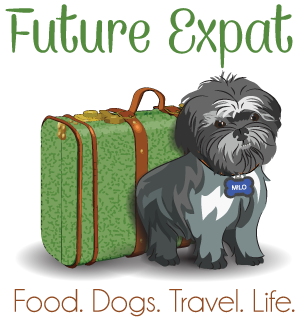 I don’t do a lot of giveaways on Future Expat, but I knew my readers would like the chance to try Rogers Coffee as much as I did. 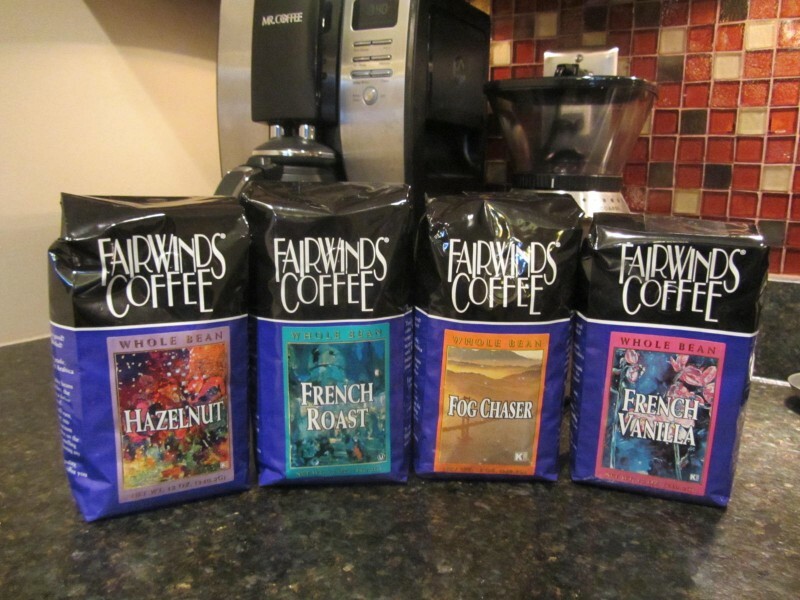 One reader will receive the same four 12 oz bags of whole bean Fairwinds Coffee that I received – Fog Chaser, French Roast, Hazelnut and French Vanilla. You can earn up to 10 entries by commenting, sharing or connecting with me or Rogers Coffee on social media sites and checking out my St. Louis website, Arch City Homes. DISCLOSURE: This giveaway is open to residents 18+ in the 48 contiguous US and will run through 11 PM CDT on Sunday, April 20, 2014. The winner will be randomly chosen using Punchtab.com and an email will be sent to the winner. The winner must respond within 48 hours or a new winner will be chosen. 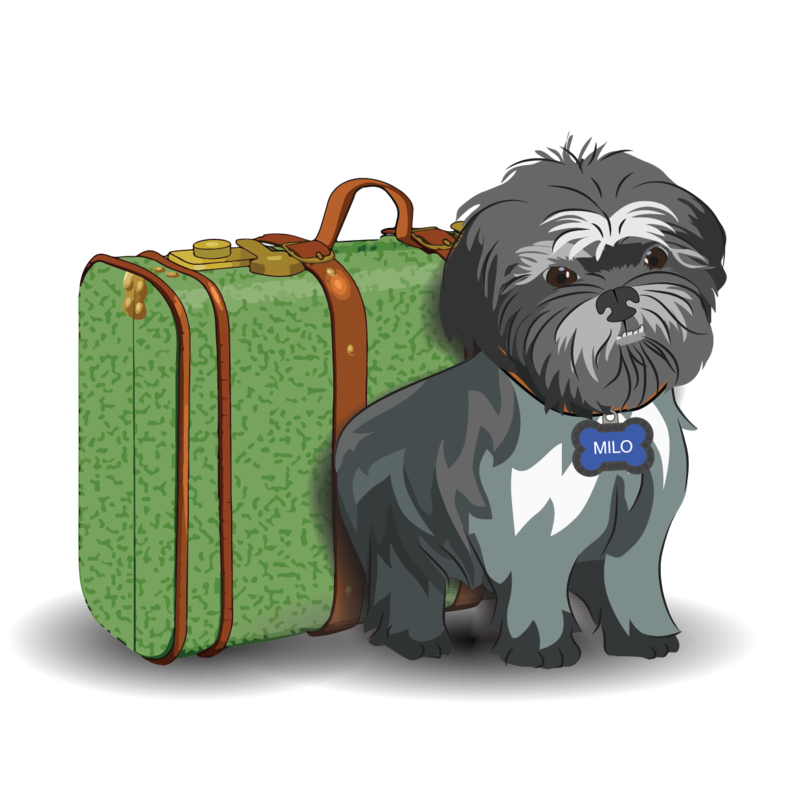 The giveaway item will be shipped directly to the winner from the sponsor. I am not responsible for prize fulfillment. Rogers Coffee provided me with coffee samples and is offering additional coffee as a giveaway prize. Opinions regarding Rogers Coffee are entirely my own. 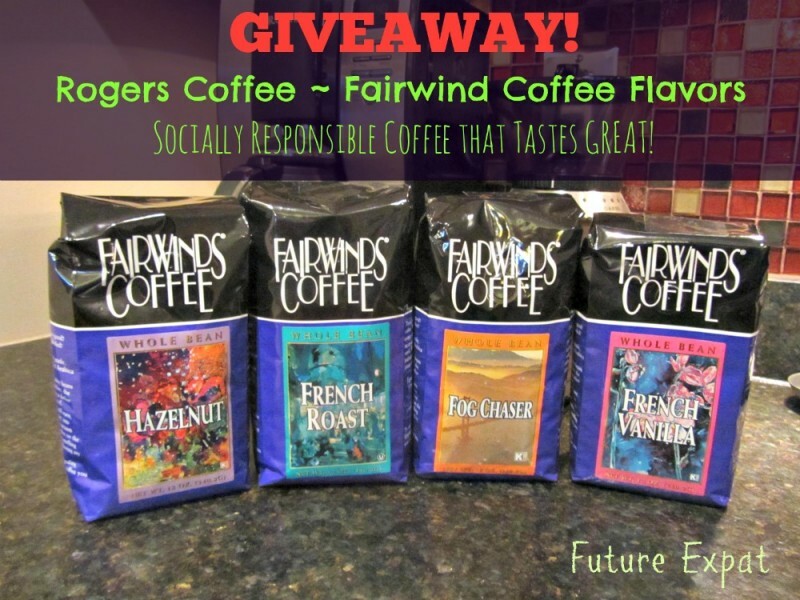 Thanks for the great giveaways and review about Rogers Coffee! I will try Rogers coffee someday. Thank you! French vanilla is my favorite flavor. I love Starbucks breakfast blend medium roast coffee. I love ‘strong’ coffee without the burnt/bitter taste. The cost of Starbucks has me searching out a new brand. I’d love to try this. My favorite is dark roast. French roasts!! I love strong-tasting coffee!! I don’t have a favorite flavor/style coffee. I do prefer flavored creamer but don’t have a favorite creamer either. I prefer a medium roast. I like pumpkin spice and cinnamon spiced coffees. I like a good dark roast when I’m at home. As I’ve aged I’ve become less enamoured with flavored coffee. If I’m out, I’ll take a latte anytime. I like almost anything BUT Hazelnut – ha. I actually like darker roasts the best, so I was surprised when I enjoyed Starbucks Blonde roasts. I am familiar with Rogers Coffee, it is delicious – I recommend their Cafe Jerusalem line, especially the Breakfast Blend. The Rogers Coffee Hazelnut is really mild…almost too mild for me since I love Hazelnut. If you win, you should try it and see what you think. The Jerusalem line is what caught my eye when I first looked at all of their coffees. Great to know the Breakfast Blend is your favorite. Love FRENCH ROAST! 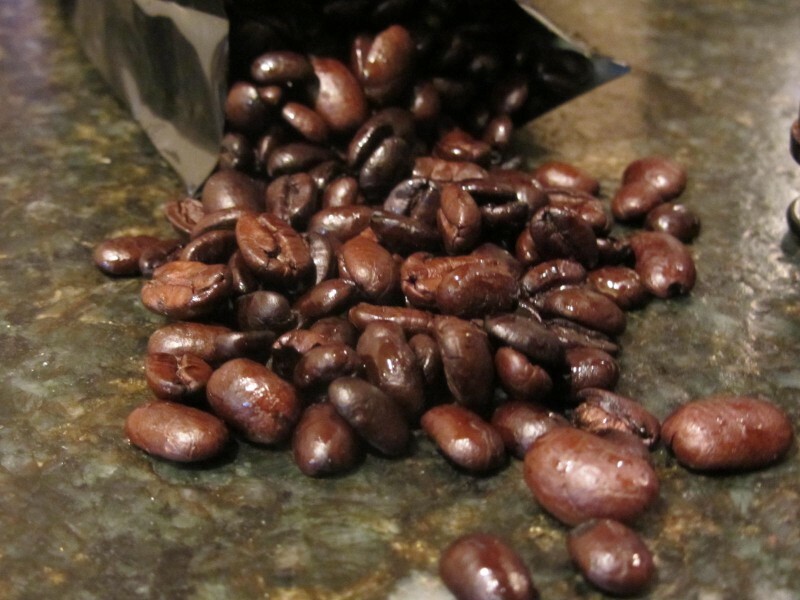 Rich, full-bodied and delivers the best coffee flavor of any I have tried. I love French Roast, but I will drink anything, I like to try new varieties! I like trying new varieties too. I think it’s why I enjoyed working with Rogers Coffee so much on this. I’ve been enjoying all 4 flavors. I like a really good medium roast to strong roast. A breakfast blend, French Roast, Hazelnut, or a Pecan flavor. But only if it is QUALITY coffee. Rogers is one of the really good coffees. I LOVE pecan flavored coffee too! I’ve been buying Rogers’ organic coffees for years, but I’ve never tried any of their non-organic coffees. I’m glad to hear they are just as tasty. My favorite flavor of coffee is hazelnut. Sometimes I drink it with cream; sometimes black. Either way it’s great! Howe brand coffee has one called Sneak-A-Diddle, taste like a snickerdoodle cookie. OMG I love it!! It can only be found on their website, so it is a treat to get it now. Not getting credit for the “Like on Facebook” because there is a big empty space for whatever I am supposed to like!! The number 3 slot on here. I prefer Hazelnut coffee over all other flavors! I love French roasts the best! 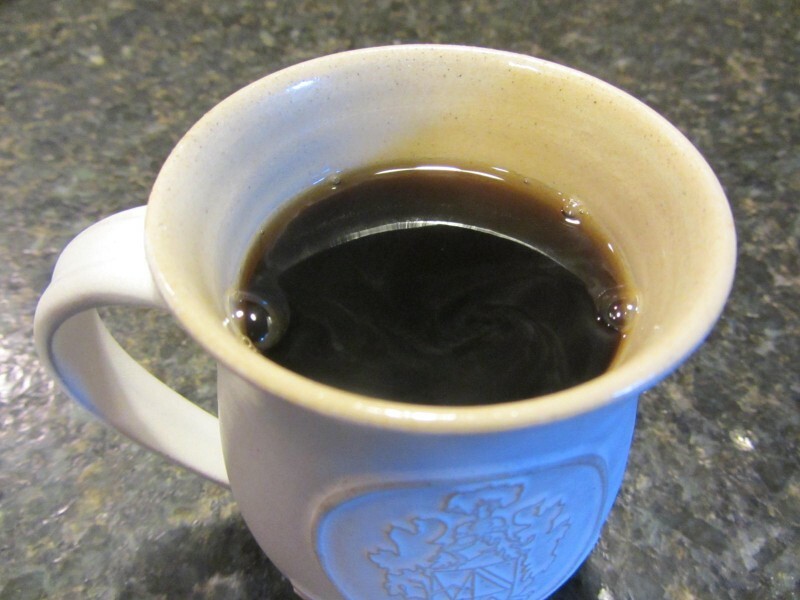 My favorite style of coffee is dark roast – I’m not picky…I just like it strong. I like the hazelnut coffee the best. I have to say that is one beautiful mug! Great to know that there are coffee brands out there that uphold their commitment to social responsibility. I definitely have to give Rogers a try after reading this review.